CLUB NEWS & NOTES! ATTENTION, ATTENTION!!! GET READY! for the 2019 CHICAGOLAND PIPE & TOBACCIANA SHOW - May 4th - 5th, 2019!!! - start packing!!! - see the News section!!! ***Photos of the Sam Barnett Memorial & 27th Annual NY Pipe Convention - Saturday, March 9th, 2019, just in!!! - See the Photos section ***Photos of our 2019 NYPC IPSD Celebration at Barclay Rex from Saturday, February 23rd, 2019, just in!!! - See the Photos section ***Photos of the... the 2018 Northeast Pipe Smoking Contest and Holiday Party (KAYWOODIE EVENT)!!! - just in!!! - See the Photos section! ***Photos of... the 2018 10th Annual NYPC SUMMER BBQ - Saturday, August 18th!!! Just In! - See the Photos section!!! ***Photos of... The 2018 CHICAGOLAND PIPE & TOBACCIANA SHOW - May 5th - 6th, 2018 - Just In! - See the Photos section!!! ***Let's Help Dear Brother Rolando Negoita - See the News Section ***Congratulations to this Year's Dr. of Pipes 2017 Award Recipient... Our Own Mr. Vernon Vig!!! - See the News & Photos sections! ***NYPC 's Own, Mr. Vernon Vig's Interview on the Pipesmagazine.com Radio Show!!! - See the News section! ***BROKEN PIPE... We Mourn the Passing of Brothers, Z. Kriz, Dan Silverstone & Sam Barnett - See the News section ***Photos from our, "SMOKE in the CLOUDS 2" Event, Just in! - See the Photos section! ***Photos from our, "SMOKE in the CLOUDS" Event, Just in! - See the Photos section! 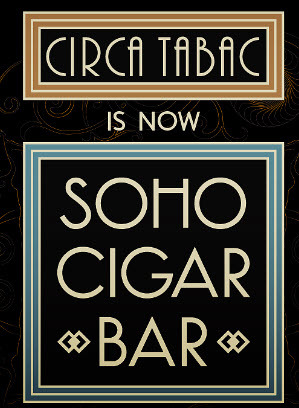 ***Circa Tabac IS NOW... SoHo Cigar Bar - See the News section! 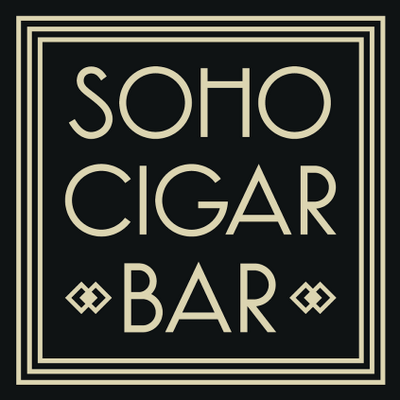 ***Lee Ringleheim, Owner of SoHo Cigar Bar - Cuban Cigar Interview on CBS - See the Video in the Links section! ***NYPC Feature Article Debuts in NY Daily News!!! - See the News section! ***Jon Guss' new Barling Article in the Articles section ***Bill Roberts On Pipesmagazine Radio Show - See the News section! ***Our New Club Logo Goes Fashion Forward!!! - see the News section ***CONGRATULATIONS To MR. VIG - inducted into the Confrerie de Maitres Pipiers!!! - UPDATE: 2 VIDEOS of Vernon's Ceremony NOW IN! & Russ Oullette Blogs About His Visit To NYPC *** - See the April 2012 News & Links sections! 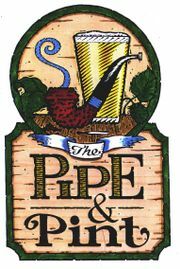 The New York Pipe Club meets monthly, on the second Tuesday, and is open to all. Please come and join us for our next meeting. No obligation, just a great evening of fine food, lively conversation and of course, fine pipes and tobacco! We meet for dinner starting at 6:00pm and stay until we run out of matches! I fervently hope you'll join us every month in 2019 for a wonderful meal, great conversation, and a relaxing evening of pipes, tobacco and friends. We have nearly 50 members who have enthusiastically responded to the call for voluntary annual dues of $25, which covers our general costs, including this web site. Every little bit helps and we appreciate your support. I encourage you to please help us out with your dues payment, it really helps the Club and our members! We need to band together for strength and unity in order to survive in an increasingly unfriendly atmosphere for pipe smokers. Please contact me at 347-886-9784 or email me at, president@newyorkpipeclub.org, if you would like to submit dues for 2019 or if you would like information about our meetings. There is no obligation.